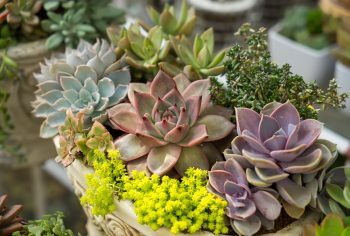 A garden of succulents can be simple and easy to maintain as long as you take into account some guidelines and basic care that require this type of plants. 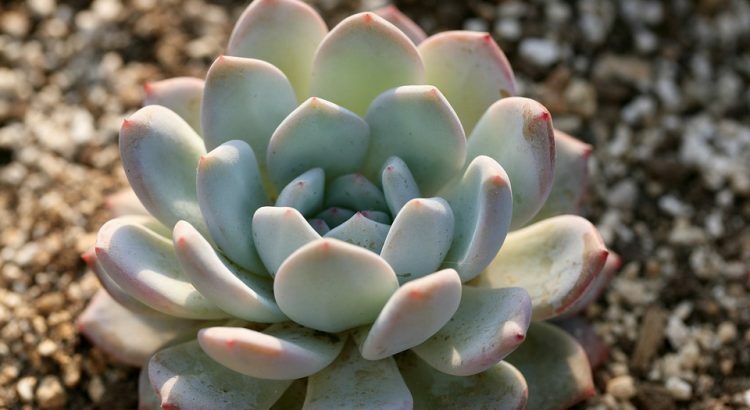 Here are 6 tips for growing succulents in your garden. 1. Buy good seeds for succulents. Needless to say, but buying succulent seeds from a reliable source will make big difference at the start! Many succulent seeds look like dust or dirt, so they can easily be confused with something else. But if you want to go safe, you can easily buy seeds from Rareplant. Just be sure about species before making a purchase. 2. The succulents need pots or containers with very good drainage system since they are susceptible to the roots suffering great damages if water accumulates in the substrate constantly. To get substrates with good drainage, prepare the pot by putting a first layer, which will be at the base of the pot, with some river stones or gravel, then another layer of sand and then on top add another layer with humus and finish with another layer. The thickness of each layer will depend on the depth of the pot, but you can divide it into 4 equal parts, one part for each layer. 3. The watering is another key point if you want to succeed with these plants. Many of them can endure well for several days without water, even several weeks. If you have moist weather succulents, keep in mind that perhaps during the driest months you should spray some water on the plants and place them in the most humid space of the house. That way they will hold much better. 4. You can take advantage of the Japanese technique of kokedama or hanging gardens to cultivate your succulents as well. It can be very good with hanging succulents such as the Rhipsalis or any variety of Aporocactus. 5. If you are looking for outdoor succulents, a good option can be a variety of Yucca. They are very well adapted to colder temperatures than other Succulent plants and are very showy, with very nice flowers. As far as care is concerned, they are very demanding, above all, we have to avoid excess water and possible pests of aphids or fungal diseases. Nothing you can not avoid or fight with ecological remedies for garden pests. 6. Reproducing or multiplying succulents can be very simple. You can do it in several ways, such as through seeds or cuttings. The cuttings will always be cut from the plants with greater vigor and that present a better state of health. With a razor or sharp knife cut a piece of not more than 15 cm long and put it in a jar with a little water. To promote healing of the cut in the mother plant, leave it to semi-shade the next three days. Rooting can take more or less time depending on whether the plant has the most favorable conditions for it. Once you have several roots, later it will be transplanted to its final place.